The contest is free for all participants! 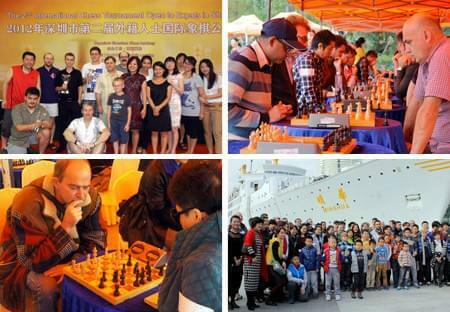 · All foreign and Chinese chess players at any level. · Players will be divided into Adults and Children divisions based upon age. 1. The tournament will operate in 6 rounds according to the Swiss System (non-knockout and 6 games for all players). Each round consists of 60 minutes with 30 minutes allotted to each contestant. Players exceeding 30 minutes lose automatically. 3.Contestants arriving more than 15 minutes late will not be allowed to participate. 4. Awards: Trophies will be awarded to the top three finishers in both divisions.